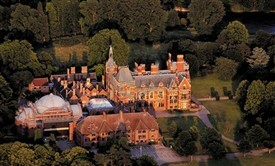 Kelham Hall is easy to find and only 2 miles from Newark-on-Trent, Nottinghamshire. 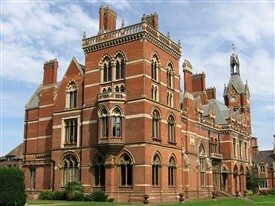 Your group can enjoy a private tour of stunning Kelham Hall! 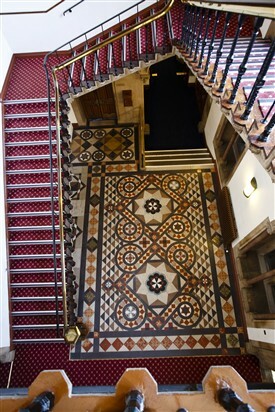 The stunning Victorian-Gothic style of Kelham Hall is an ideal place for your group to visit and enjoy the magical rooms and ambience of this best-kept secret in England! 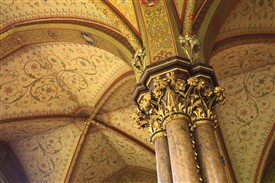 Built and designed to recreate the faery-tale atmosphere of medieval England, Kelham Hall is a confection of delights! The astonishing rooms of this family stately home are full of gothic architectural features to delight the eye! Your host and guide is Prof. Franklin Charles Bishop who will entertain and surprise you with revelations about the Victorian family who once lived here in magnificent splendour and luxury and there is a tremendous sight at the conclusion of the tour...! Plus there are over 40 acres of gardens and grounds to explore and enjoy! Meals may be booked in the restaurant in advance if you desire, and refreshments are always available. Car and coach parking is free onsite making your visit even more enjoyable! This page was added by Marino Dalborra on 02/01/2014.